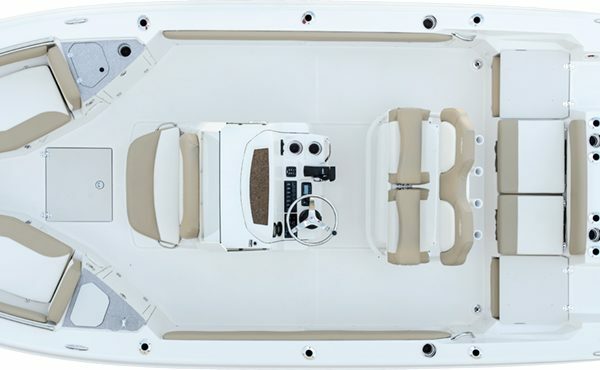 At 21′ 8″, the 216CC is just two feet shorter than the 236CC, but offers the same 101″ beam and similar amenities. 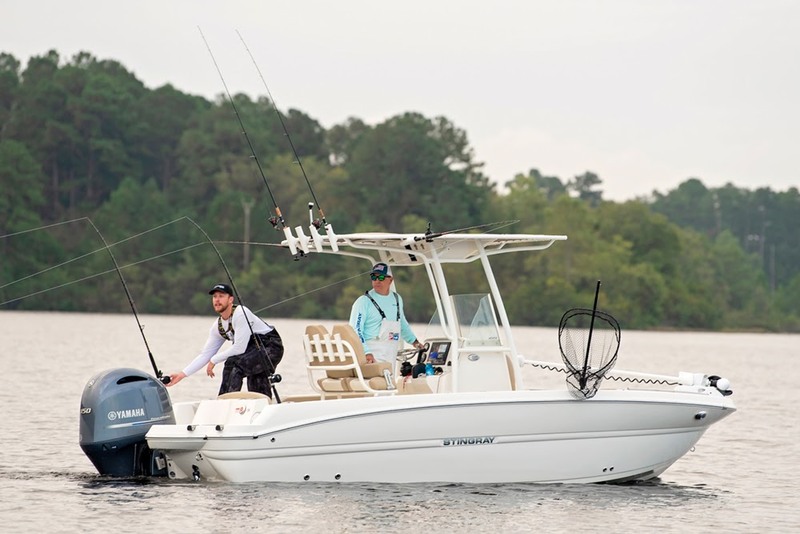 Whether fisherman or family, this boat offers a little something for everyone. 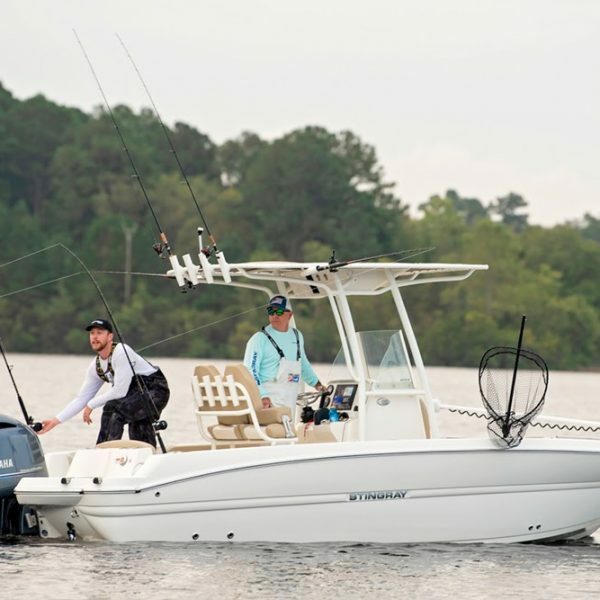 Let’s start with the anglers. 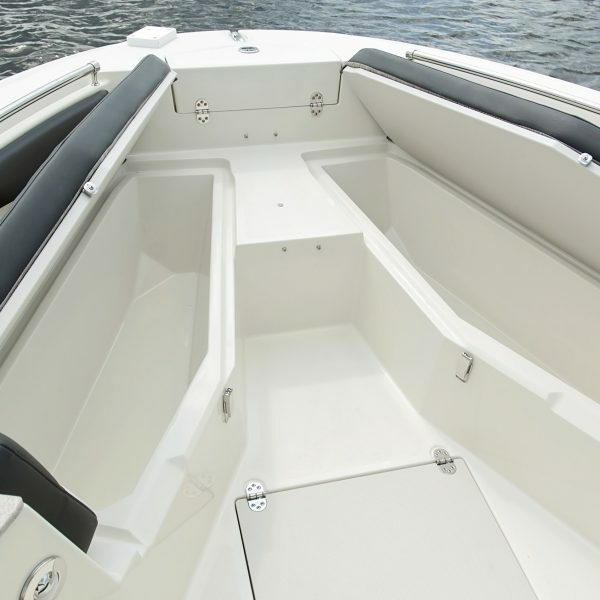 The first thing you will notice is all the rod holders — twelve are standard, not including the molded-in rod storage in the gunnels. 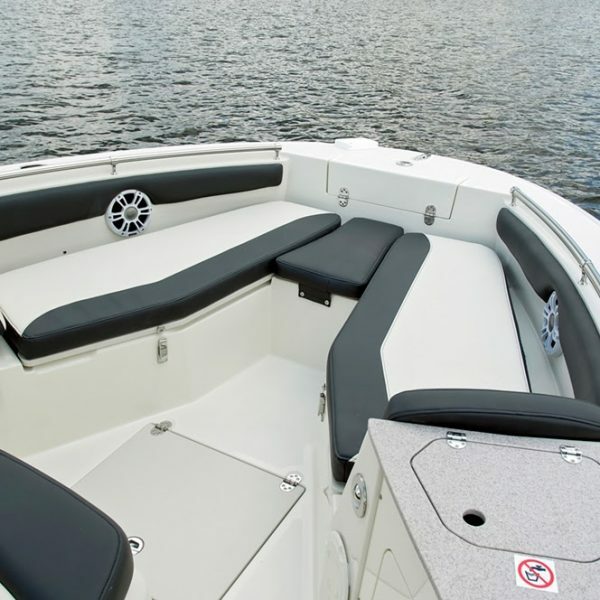 Add the optional canvas t-top and you get eight more. 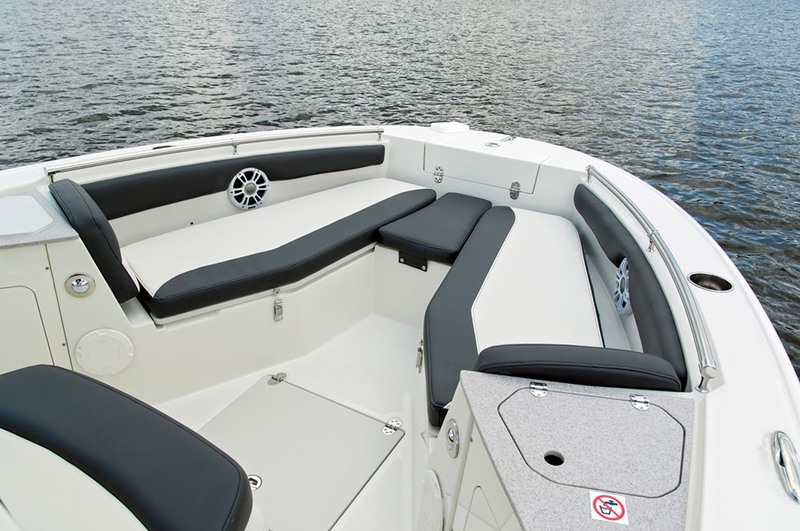 The bow cushions can be removed and the rear seats folded down to serve as bow and stern casting platforms. 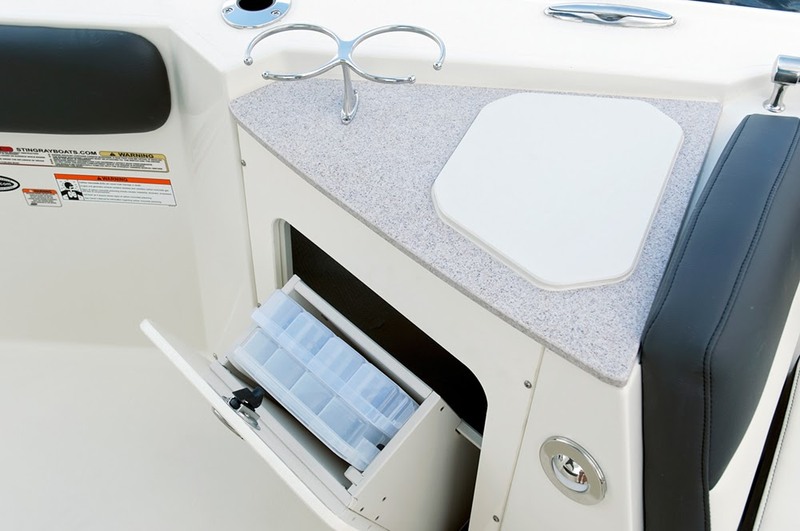 A bow fishing seat and pedestal is optional. 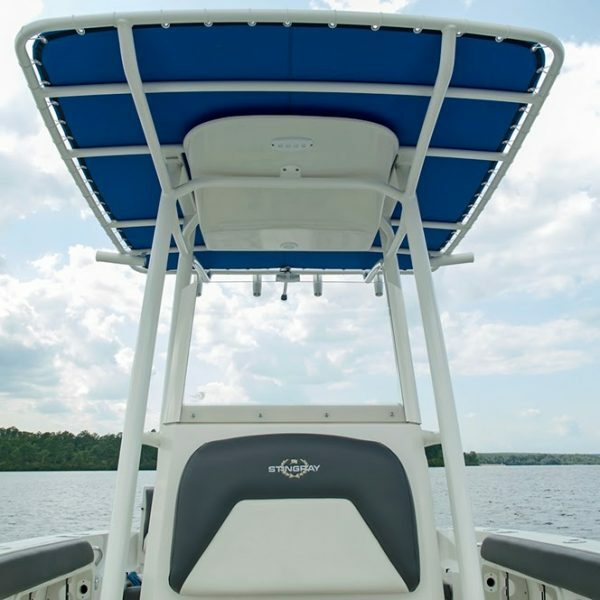 At the helm is a leaning post, 74-quart Engel cooler, real tempered glass windshield, and a large flat space for a GPS or other 3rd party electronic display. 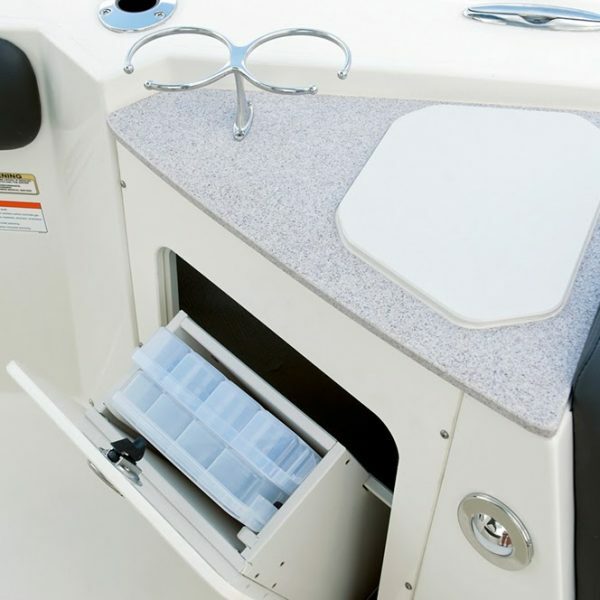 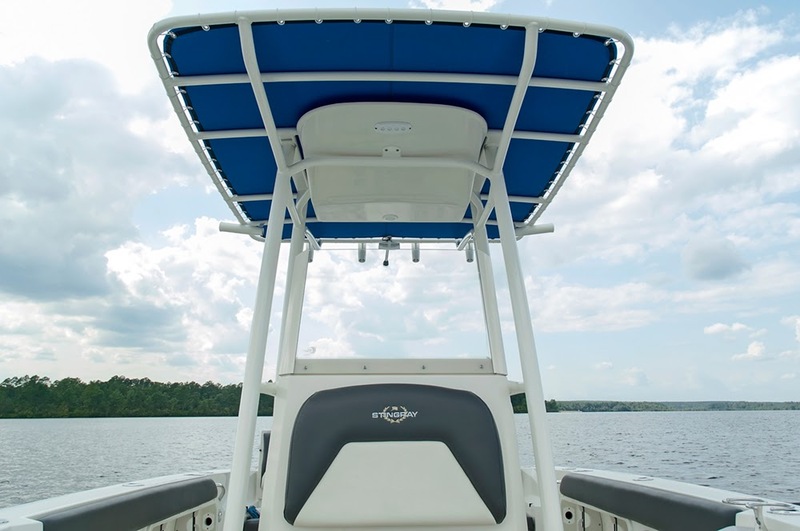 A 14-gallon stern live well is standard, and the front bow cooler can be upgraded to a second live well. 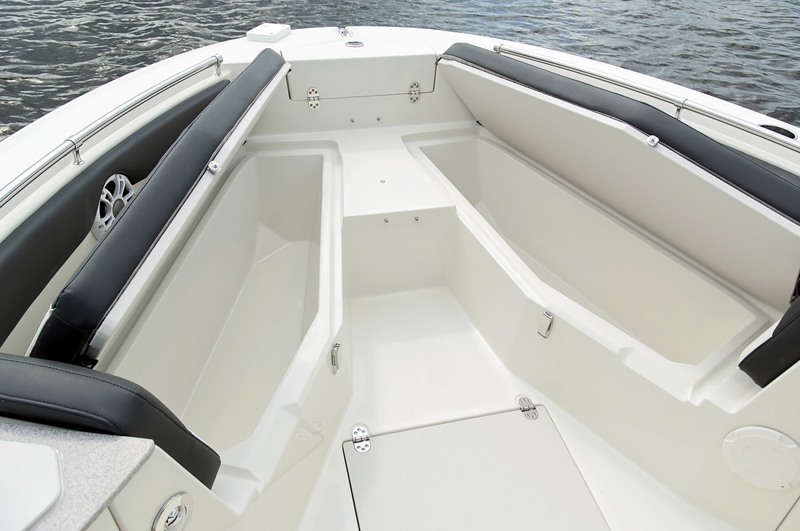 A trolling motor mount and harness are also optional. 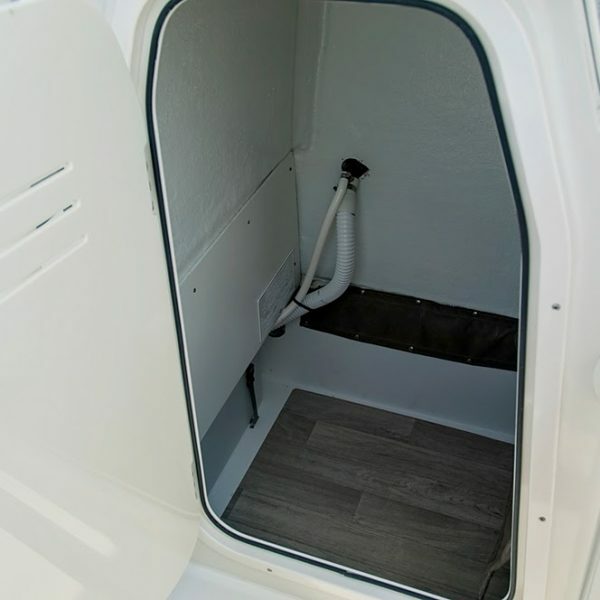 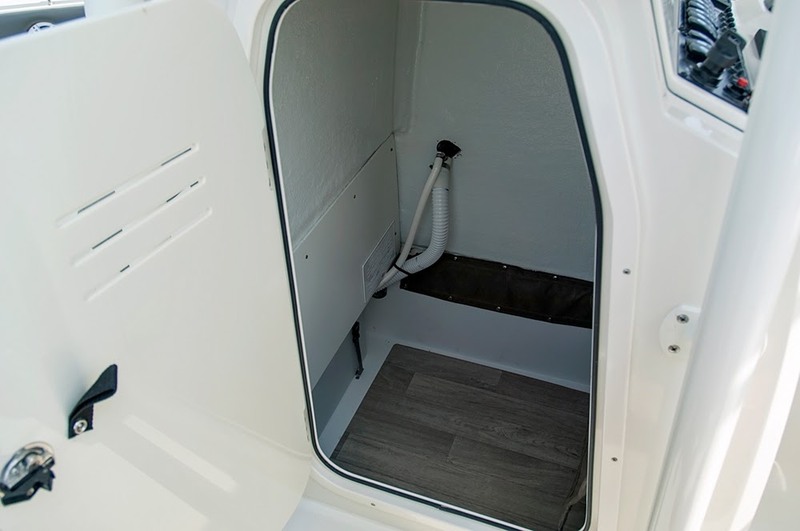 The optional raw water wash-down, along with a self-bailing cockpit and optional seagrass flooring, makes cleanup a breeze at the end of the day.